CRUISIN AUTOMOTIVE supply and install Vintage Air air conditioning. Cruisin Automotive are dealers for Vintage Air. We carry a big range of air conditioning units, Vents, switches, we also install air conditioning. We ship Australia wide. Vintage Air are the original innovators of performance air conditioning for the street rodding industry. Established in 1976 Vintage Air has since grown to be a large manufacturer of an impressive range of air conditioning products that you will struggle to find anywhere else. 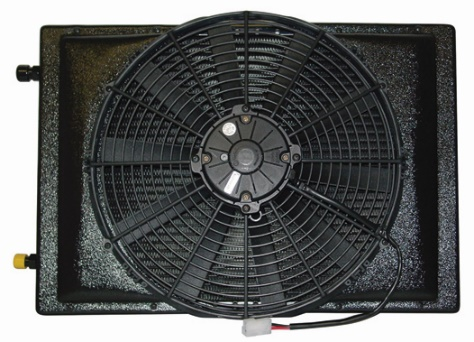 Vintage Air’s performance air conditioning products are designed for Street Rods, Pickup Trucks and Performance vehicles alike. With an extensive range of direct fit systems as well as universal fitting systems; Vintage Air will have the air-conditioning solution for you! 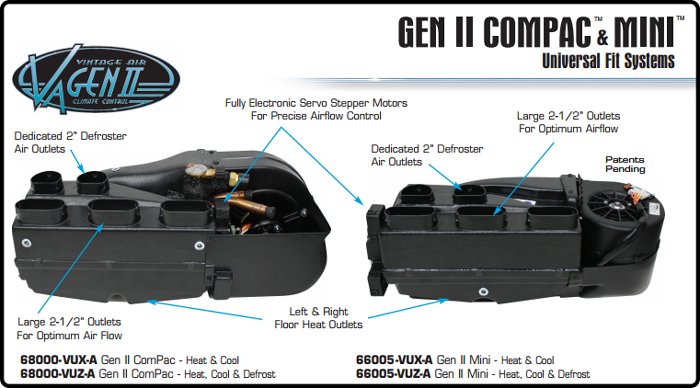 68000 – VUZ-A Gen II ComPac – Heat, Cool & Defrost. Our proven Gen II servo motor control technology makes this mid-sized package work better than many other’s fullsize systems! 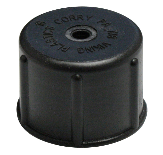 Three outlet vents allow you to position your louvers wherever you need them. 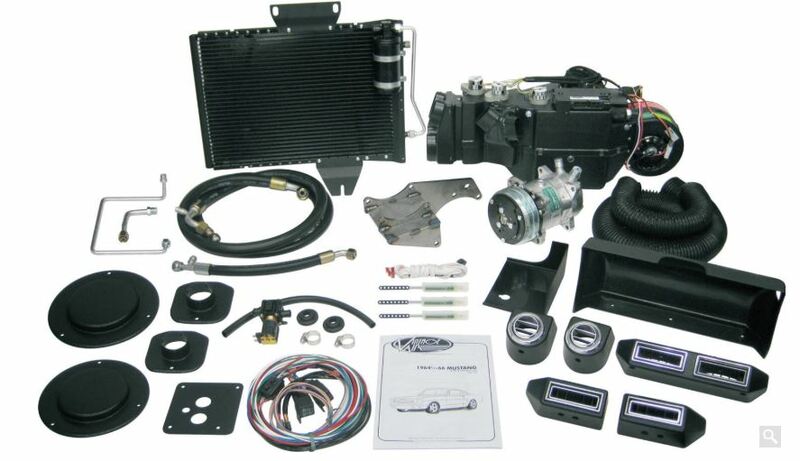 The Gen II ComPac is an ideal system for coupes, classic trucks and smaller sedans.